Traditional football clubs across Europe are entering the eSports world. 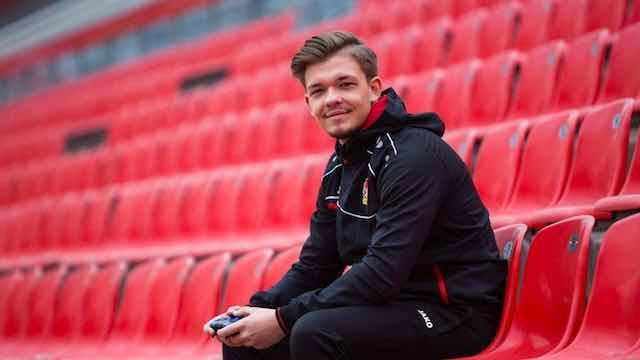 This month Bayer 04 Leverkeusen joined in by acquiring their own pro EA FIFA player, Marvin ‘M4RV’ Hintz. Hintz has already established himself as a world class pro FIFA player with impressive performances in the ESL and EPS over recent years. This latest hook up between a real football team and eSports follows a trend that has been growing in 2017. The Premier League’s best are already at it, and now the German teams are following suit. Alongside Leverkeusen, Bayern Munich, Borussia Mochengladbach, Hamburg, Weder Bremen and Cologne are all getting involved. Aside from entertainment, there are some strong commercial reasons for top football clubs to get involved in eSports. The global reach of the EA FIFA brand is huge and teams can pick up fans by having their own players and sqauds represented within the game. That’s one side of things. The other is for clubs to actually set up partnerships with FIFA players like Hintz. In doing so a club can immediately align itself with a player and their fans. Hintz’ fans become Leverkeusen’s fans. In summer 2016 Manchester City signed up their first eSports player – Kieran ‘Kez’ Brown – to represent the club at eSports tournaments across the globe. This followed hot on the heels of West Ham signing up their own FIFA starlet, Sean ‘Dragonn’ Allen. Players live stream their performances on Twitch and also on the Youtube channels for their clubs. The support for EA FIFA as an eSport with betting has not reached the same levels as other games like League of Legends and DOTA 2, but it is growing with every year. The latest release of the FIFA game – released in Autumn 2017 – looks the best yet with improved graphics, animations and gameplay and is sure to increase the fan base of those playing the game and watching others play it. You can read the Offersville full review of EA FIFA 18 here.